Used test – sporty coupes: Audi TT vs Renault Sport Megane vs Subaru BRZ vs Toyota GT86 | What Car? Aside from the fact that one has a Subaru badge on its steering wheel and the other a Toyota badge, the BRZ and GT86 are virtually identical inside. Each has a driver's seat with a wide range of adjustment to you get comfortable. However, cramp can still set in on long journeys, because the pedals are offset to the right and the front seats don't provide great lower back support. There are no such problems in the Mégane or TT, although the Mégane does have comparatively high-set seats that make it feel more like a sensible hatchback than a sporty coupé. You also have to put up with a severely restricted rear view if you opt for the Mégane, while things are only slightly better in the BRZ and GT86. The TT, on the other hand, offers excellent all-round vision, thanks to its slim window pillars and large rear window. Most of the controls on the dashboards of these cars are related to their infotainment systems and air conditioning. 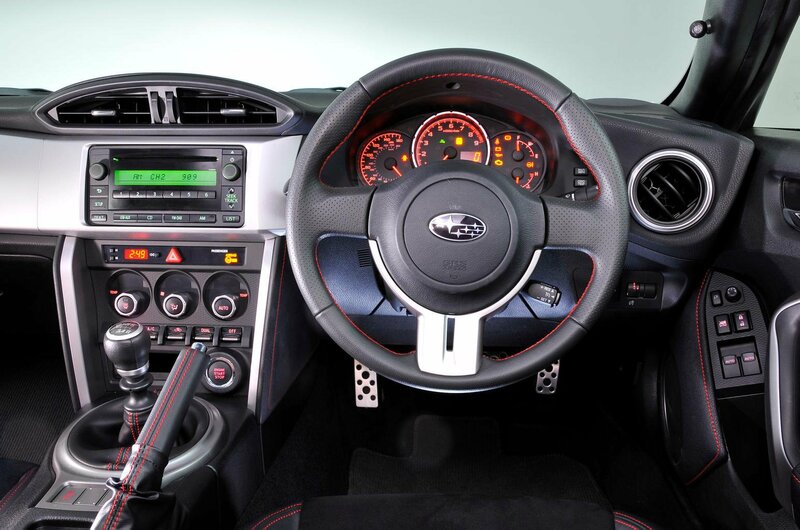 The TT, BRZ and GT86, each have a trio of rotary dials for controlling the air-con. 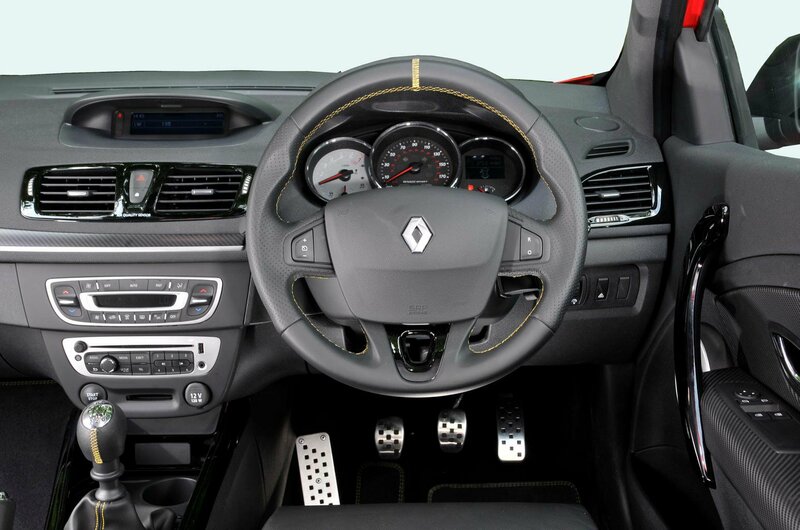 This simple arrangement lets you make quick adjustments without taking your eyes off the road, whereas the Mégane has rocker switches for the temperature and a couple of small buttons for the fan speed. The dashboards of the BRZ and GT86 feel solidly put together. However, most of the materials are hard-wearing rather than plush, and the all of the switchgear feels rather cheap and dated. The Mégane is significantly classier, with a cushioned upper dashboard and some smart faux-carbonfibre trim. The TT is better again, with tactile plastics and stylish metal ventilation controls that are superbly fitted and finished. What’s more, while there’s enough space for tall adults in the front of all of these cars, the TT is particularly roomy, with the best head and leg room. It’s a different story in the Audi’s rear seats, however; the space around them is so limited that they’re pretty much useless for passengers. Adults won’t be comfortable in the back of the BRZ or GT86, either. However, they can just about squeeze in for short journeys if they’re prepared to have their heads up against the rear window and the person in front is closer to five than six feet tall. Only the Mégane is a proper four-seater, although avoid the optional Recaro sports seats if you regularly carry rear passengers, because they eat into rear leg room. Getting into the back of the Mégane in the first place is pretty easy, because both front seats slide and tilt right out of the way. By contrast, the TT’s seats only tilt, leaving you with a narrow gap to climb through. The BRZ and GT86 provide easy access from the passenger’s side, but not the driver’s side: the front passenger seat slides forward when you tilt the backrest, but the driver’s seat doesn’t. The Mégane also has by far the biggest boot, while the BRZ and GT86 are at the other end of the scale. To make matters worse, they give you a smaller opening to feed the luggage through due to their saloon-style rear ends; the Mégane and TT are both hatchbacks with wide-opening tailgates. Still, it’s not all bad news for the Japanese cars. Like the TT, they have rear seats that fold completely flat, whereas the Mégane’s lie at an angle and are more of a faff to fold up and down. All four cars came as standard with alloy wheels, electric front windows and air conditioning, although only Subaru and Toyota provided dual-zone climate control as standard. The BRZ and GT86 also came with xenon headlights, whereas they were optional extras on the Mégane and the TT. 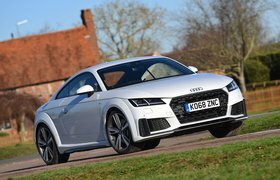 The TT also did without cruise control, which was included on all three of the other cars.